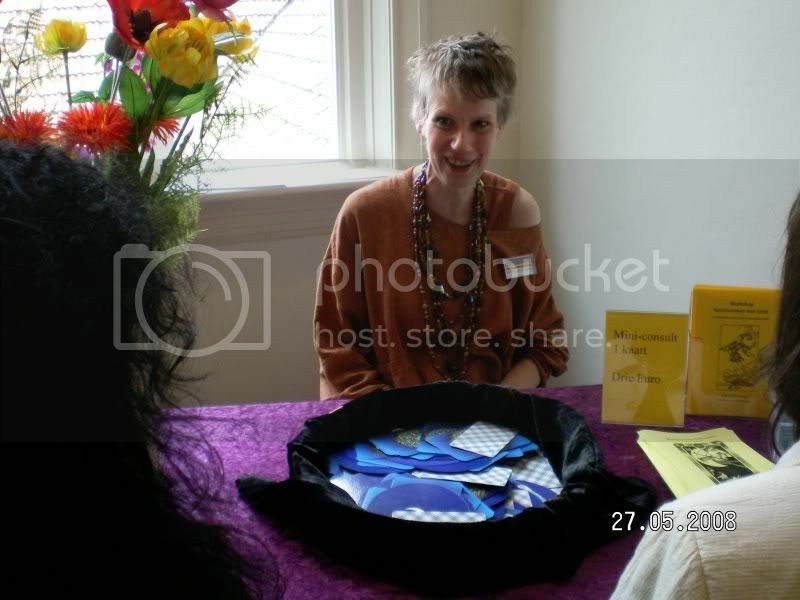 On Sunday we had a complementary Health Fair in Heerenveen which I helped organize. It was a success. A few months ago we had drawn Six of Wands from the Inner Child Cards for the day, and it felt just like that. We wished for a day in which the participents felt at ease with each other, that happened. We wanted also that each one could promote their activities, and they could. There were many children who served coffee and tea (our offspring and friends) and who solds cards for workshops. That made the atmosphere light and friendly. I sat at the end of a hallway upstairs in the building. I am loud and I take in a lot of space, so I was happy with my place. My workshops went well, and I had fun in doing them. I read with the Inner Child Cards about how to give room to the inner child in each one's life. In the first one I was very upbeat in the beginning. Reading a card for 15 people in 25 minutes, introducing myself and the theme of the workshop felt overwhelming when I started, but half way through I calmed down.